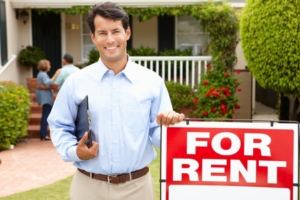 Before you rent your house out make sure that you talk to your insurance agent about landlord insurance. While homeowner insurance policies are designed to protect the home you live in they typically fall short in two ways. First of all, homeowners insurance policies often exclude important coverage options like landlord liability and rental income loss. Secondly, homeowner insurance policies often come with way more coverage for things, like personal property, than you would typically need if you are renting out the home. Being a landlord makes you more vulnerable to a lawsuit if someone is injured on one of your rental properties, so you may want to consider adding a personal umbrella policy as well. It is also a good idea to ask about personal injury coverage so you are protected against lawsuits arising from accusations of wrongful eviction, false arrest, libel, slander…you get the picture. While you might be able to save some money by managing your rental property yourself hiring a professional can help protect your investment and keep things running smoothly. Secure the best tenants making sure you are requiring the correct screening for criminal history and credit. Rent the unit at the market rate and minimize downtime between tenants. 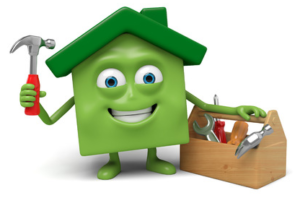 Manage the maintenance and repairs so that your investment is protected. Properly handle tenant disputes and navigate the complex legal requirements to increase rent, change lease conditions, or evict a tenant who hasn’t paid their rent. While investing in real estate is a great way to earn some extra income and increase your wealth, if you are not careful you could run the risk of losing money in a lawsuit or getting into legal trouble for mishandling a difficult tenant. This is why it is so important to have a great insurance agent and property manager on your team! In a future article I’ll discuss Renter’s Insurance. If you are interested in learning more about protecting your rental property, speak with an agent at the Whitcomb Insurance Agency today by calling 425-391-8731 or clicking here. At Whitcomb Insurance, we’re real people serving real people!